Sarah Taylor is a brand marketer at heart, and has worked for large fmcg brands such as Clover and Clover Light in the UK and Quorn in Europe. Passionate about new ways of working and the evolving work landscape, she co-founded a successful interim business in the mid-90s in the marketing & HR functions. 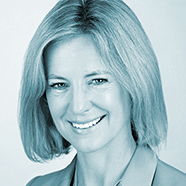 She has championed individuals at the helm of their careers and transformed the way businesses think about resourcing. Paul is a business psychologist with over 25 years’ of experience in HR, learning and development, and organisational development, gained working in the private, public and third sectors, often at the most senior levels. 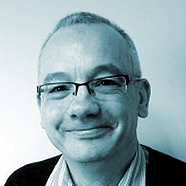 A qualified and official user of a range of psychometric and other forms of tests, Paul has also designed a variety of competency frameworks and 360 degree feedback questionnaires. He is an accredited workplace and employment mediator. Paul has an MSc in psychological assessment in organisations (with distinction), a post graduate diploma in occupational assessment (with distinction), a post graduate certificate in the psychology of organisational development and change, and an ILM level 7 certificate in executive coaching and leadership mentoring. Linda has 13 years’ experience of running her own London-based executive search firm in the retail and consumer sectors operating predominantly in family-owned and private equity businesses up to £100m turnover. Previously, her background was in strategic marketing and branding – client-side and agency roles – for Woolworths, Elizabeth Arden, the Signet Group and Pragma Consulting. Having experienced several career changes herself, Linda is passionate about helping others to discover what truly energises them and to create positive change both for themselves and their business. A psychologist who has been working with people in organisations for over 15 years, Richard’s focus is on gaining a deep and broad understanding of executives within a variety of businesses and contexts. His skill as a coach lies in helping those people to understand themselves, and how they can develop further in order to achieve their aspirations, and to traverse or transition into new roles. Richard helps clients to analyse how their particular blend of defining characteristics, values, drivers, strengths and skills can add value to the contexts they are, or wish to be, operating in. Richard has coached leaders at all levels, from inexperienced supervisors, to company CEOs and chairmen within blue-chip internationals, SMEs, and public sector organisations. 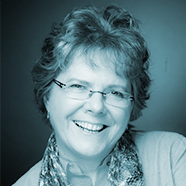 Jean has over thirty years’ experience in leadership, training and management appointments both overseas and in the UK, including 15 years board level experience. She left the British Army in 2006 as the most senior serving female officer in all 3 Armed Services and now uses her experience and knowledge to support aspiring middle and senior executives to achieve their goals. She is insightful, commercially aware, and an excellent facilitator and trainer with a successful track record. Her focus with her clients is on developing effective practical leadership and management solutions that deliver enhanced capability and sustained change. She is an Associate Fellow and Lead Coach at Said Business School, University of Oxford where she directs and coaches on a range of leadership and development programmes for both public and private sector clients where she which include banking, engineering, oil & gas, Government entities and high performance leadership programmes. She is passionate about enabling people to achieve their goals and believes that coaching keeps her clients focussed, determined and successful, enabling them to achieve goals and ambitions they wouldn’t achieve on their own. Amanda is a board level HR director with extensive experience of developing the strategic HR agenda and delivering transformational change in a number of large, complex and multi-disciplinary organisations in the public, higher education and private sectors. Her areas of expertise include HR strategy, organisational change, talent management, recruitment and selection, leadership development, employee engagement, executive coaching, leadership mentoring, and career coaching. A fellow of the Chartered Institute of Personnel and Development (CIPD) Amanda has an ILM level 7 certificate in executive coaching and leadership mentoring, an MSc in management development and training, and a post graduate diploma in personnel management. Amanda is a volunteer coach with Teach First. An expert in employee engagement and employer branding, Richard has worked as a Generalist HR professional for over twenty years, working for ten years at Virgin. He joined Virgin Mobile as HR Manager pre-launch in September 1999 to establish the HR function. In April 2005 he became Head of the Engagement team and was then promoted in April 2007 to HR Director. On leaving Virgin Mobile at the end of May 2009 he became a Consultant helping several organisations on HR, Employee Engagement and Employer Branding. Working at Board level and with senior managers he has recently completed Employee Engagement projects for OVO Energy, Active Nation, saintnicks, Factory Media, Gradwell Communications and True Digital. He is currently working on a part time basis as Group HR Director for the Forward Internet Group and has helped them earn recognition as a Sunday Times ‘Top 100 Best Companies to work for’ three years running (2010-2013). Over the last few years, he has “presented” at over 20 conferences and delivered a number of Employee Engagement and Employer Branding seminars and workshops in the UK, Europe, Qatar and South Africa. 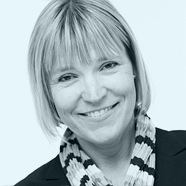 Rachel has 30 years of extensive experiences in people development. She helps technical and manufacturing companies grow the right people for tomorrow’s success through design, development and implementation of sound strategies and solutions globally. As a regular conference speaker, and with the ability to connect from the shop floor to the Board room, she is recognised as a trusted advisor. Rachel has a Master’s Degree in Education and a Bachelor’s Degree in Communications. She is a Certified Practitioner in Organisation Development; qualified in psychometrics by the British Psychological Society and a Chartered Member of the Chartered Institute of Personnel and Development. She will assess your organisation’s current and future talent needs, help you identify and recruit the right talents and put in place programmes to develop them. She will work with your technical and operational teams and offer them the right techniques so that they grow leaders from within your organisation. She will enable your managers to recognise their role in identifying and developing talent through in-house and open workshops. She will facilitate writing and implementation of your people strategy through a consultancy project or on a continued long-term contract basis; both for the purposes of upskilling your HR team. 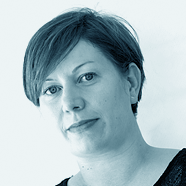 Luan Wise is a Chartered Marketer, with 15 years experience in full service agency, client side and consultancy roles. Luan has worked for clients of all sizes, from household names such as Hilton, Panasonic and University of Cambridge to the kinds of companies that are big in their field but unknown to the wider world. Luan is a strong advocate of industry best practice and sits on the Direct Marketing Association (DMA) Council for West & Wales, Chartered Institute of Marketing (CIM) South West board and chairs the CIM Gloucestershire team. She is also passionate about the strategic use of social media and speaks regularly at industry events on the subject. Luan also trains company teams in-house and works with individuals to ensure their profiles are fully optimised and time spent on social media is focused and measured.